This week, The Guardian ran a story about a prolific romance writer who has been revealed as a plagiarist. She took another author’s M/F romance novel and “rewrote” it almost exactly word for word, only changing the relationship to M/M. She apparently tried to take advantage of the fact that there is very little crossover between the two romance sub-genres and hoped no one would notice. Other authors are now encouraged to check their work because this author has published seventy-five books in five years, spanning seven or eight different genres, and at least one more has been found to have been plagiarized. 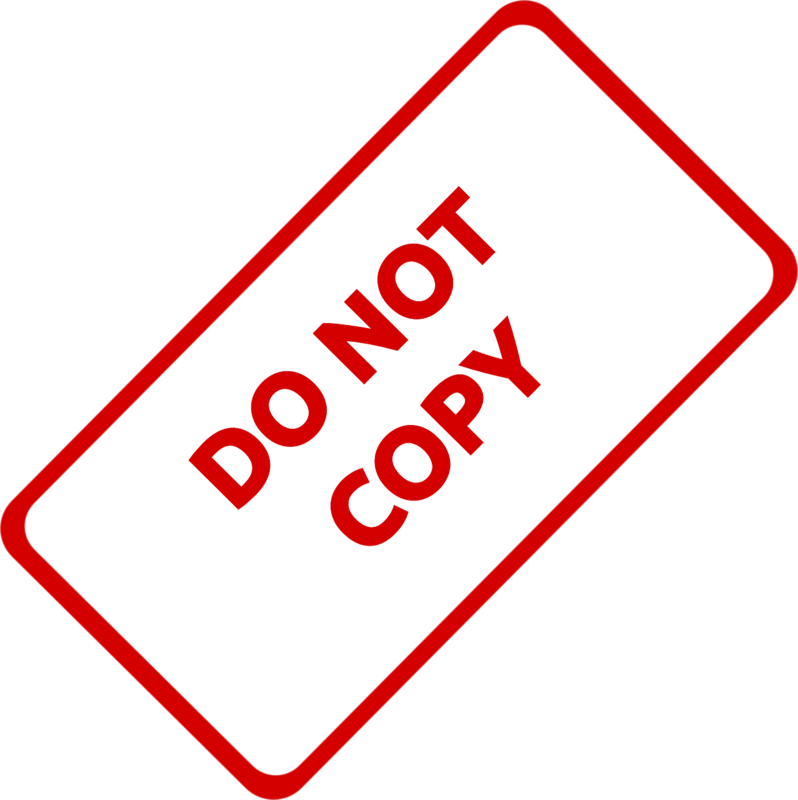 Plagiarism is a serious issue and it’s no longer limited primarily to academic circles. The need to meet ever-shorter deadlines, fill content mills, build a backlist of novels to generate more sales, and churn out more and more articles to satisfy hungry blog readers is leading to an increase in plagiarized work. And it doesn’t stop at a few lifted paragraphs. I’ve found some of my articles published in their entirety on other blogs without my byline or any credit to the website where they originally appeared. Plagiarism is defined as, “The practice of taking someone else’s work or ideas and passing them off as one’s own.” It can occur intentionally (when you knowingly copy someone else’s work word for word into your work and do not give credit to the original author) or unintentionally (you come up with a great dialogue exchange without realizing that it was something you read in someone else’s work). No matter how it happens, it can lead to serious legal trouble if you are caught. Since catching perpetrators is easier than ever thanks to search engines, voracious readers who will report it, and plagiarism checkers that can pull up text in an instant, the chances are good that you will get caught. It can also effectively end your career because once you’re caught, no one is going to trust you again. Even just the whiff of an accusation of plagiarism can be enough to derail your career. You want to do everything you can to avoid this kind of trouble. Here are fourteen ways you can avoid accusations of plagiarism. Always give credit. Any time you use the work of another person, be it a quote, theory, paragraph, recording, table/chart, photograph, or excerpt from a larger work, be sure to give credit. If in doubt, give credit. It’s better to give too much credit than not enough. Study the proper citation methods for your field and follow them. Be careful when taking notes. When you’re initially researching a project and making your notes, be sure to label which notes are direct quotes or excerpts from other work. It’s too easy to forget later on which pieces of your notes were direct quotes and which were paraphrases or your own ideas. Even if you do remember which pieces were not original work, it’s very difficult to remember which book or source to go back to if you need the citation information. Do a quick search. Take a quick tour through Amazon and Google for works on topics similar to yours. Overlap of ideas and concepts is allowed (everyone writes about vampires or diet trends, for example), but make sure there isn’t already an author out there with a work extremely similar to yours. If there is, take steps to significantly differentiate your work from theirs to avoid the suspicion that you stole the work. Understand what constitutes an original work. What the author referenced at the beginning of this piece did was to gender-swap the characters, rewrite a couple of scenes to fit the new model, and declare that it was an all new, original novel. This isn’t enough to avoid accusations of plagiarism. You can’t simply swap a few words around, change the names or genders of some characters, or reorder some paragraphs and call it a day. You’re allowed to write about the same ideas, but the writing must be in your own words. Create your own supplemental material. Take your own photos, purchase the rights to use a photo, or be sure you’re using copyright-free images. Draw your own pictures or hire an illustrator. Create your own tables, charts, and graphs. Don’t just lift stuff off the internet or reproduce something from a book. Most things are not free for you to use so if there’s any doubt, create your own. Cite in every draft. Include your citations in everything from your first draft to your last. This will help keep you from “forgetting” a citation when you’re reviewing your final draft. Again, the longer you work on a project the more difficult it becomes to separate original ideas from those that need citations. Citing from the first draft onward keeps things clear. If in doubt, ask. If you have any doubt about whether something you’ve found on the internet is free to use (this applies not only to written work, but music files, images, and video), ask the original creator if you can use it. If they say yes, great. They may also say no outright, or they may say you can use it for a fee, in which case you have to decide if the material is worth the fee. Trust, but verify. If you outsource any part of a project to someone else, you need to check that they have not plagiarized anything in the process of creating the work for you. Your name is going on the final project, so it will be you that any unhappy content creators come after. You may want to explore having a clause placed in any contract that you use absolving you of responsibility if your helper plagiarizes anything. Just be sure to consult an attorney to make sure you won’t be liable. Have someone else check your work. Get someone else (be it a coworker, someone from your writer’s group, a fellow student, or an editor) to look at your work before you turn it in. This third party may be able to spot some plagiarism warning signs (the tone or structure is different from your usual work, for example, or they may recall that they’ve seen these words before). Check it yourself. There are plenty of free plagiarism checkers on the internet. Put any text that you’re uncertain about into a checker. Many universities also offer free plagiarism checkers on their library websites. They aren’t 100% accurate, but it’s an additional safeguard for you. Pace yourself. Don’t wait until the last minute to work on a project. When you’re stressed and hurried the temptation is greater to just lift a few quick words so you can meet your deadline. Being stressed and hurried also makes it easier to miss unintentional plagiarism, or to get your notes so messed up that you forget what passages you were supposed to cite. Give yourself plenty of time to work on a project. Keep records. Any time you correspond with someone regarding the use of their material, keep a record of their permission. If you pay for the right to use some content, keep your payment records. Keep all of your notes regarding sources and citations, including photocopies of any passages that you may have used in your work. Keep your original files and every draft on your computer (and in a good backup system). This will establish your “creation date” in case it’s later argued that you stole the work. (Occasionally, a cornered plagiarist will turn the tables on you and accuse you of stealing their work.) You have to be able to prove that you did not plagiarize if you’re ever questioned, so keep excellent records. Beware of behavior that may raise red flags. The author referenced at the beginning of this piece raised additional red flags because she was so prolific. There’s nothing wrong with that; many authors can churn out good, original work in a short period of time. But any time you are operating so far above the norm (fifteen books a year in many different genres, for example) be prepared for people to ask questions. Other behavior that may raise a red flag includes a work that is substantially different in tone or quality than your previous work or a sudden switch of genres accompanied by a radical increase in quality. Again, none of these mean you’ve done anything wrong, but astute readers and editors may ask questions. Take the steps above to make sure that any accusations are unfounded. In this age of the internet, plagiarism is so easy. It’s so easy that some people might not even be aware that they do not have the right to help themselves to anything the internet has to offer. But ease of access does not negate the fact that plagiarism is a serious offense. Save yourself a lot of trouble and just don’t do it. Terrific post. The software Grammarly also has a plagiarism checker, though I have not much experience with it. I would be very interested to hear your thoughts on how effective it is. Thank you for putting this together. I’ve never used that one. Looking at their site, wow, that’s expensive. Maybe someone I know has used it. I’ll ask around.